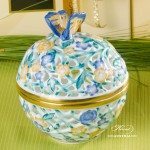 Openwork Bonbonniere / Candy Jar w. Butterfly Knob – Herend Lilac – Yellow – Green C4 pattern. 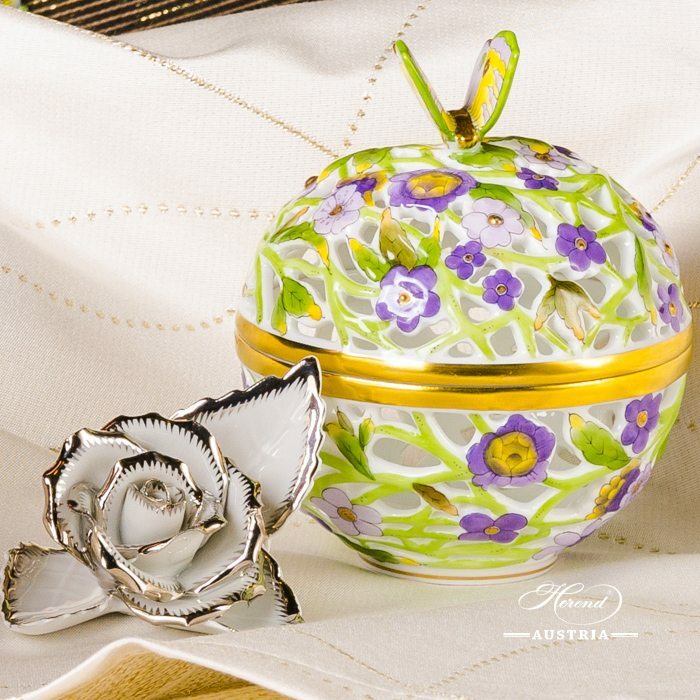 Herend fine china – Lilac – Yellow – Green C4 design. 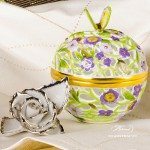 Openwork Bonbonniere / Candy Jar – Herend Lilac – Yellow – Green C4 pattern. Thousand Flowers Fancy Box with Rabbit Knob - 6105-0-25 MF - Herend Porcelain 1 pc - Fancy Box This Fancy Box is available in many different motifs. Apponyi-Pink Fancy Box - 6105-0-17 AP2 - Herend Porcelain 1 pc - Fancy Box This Fancy Box is available in many different motifs. 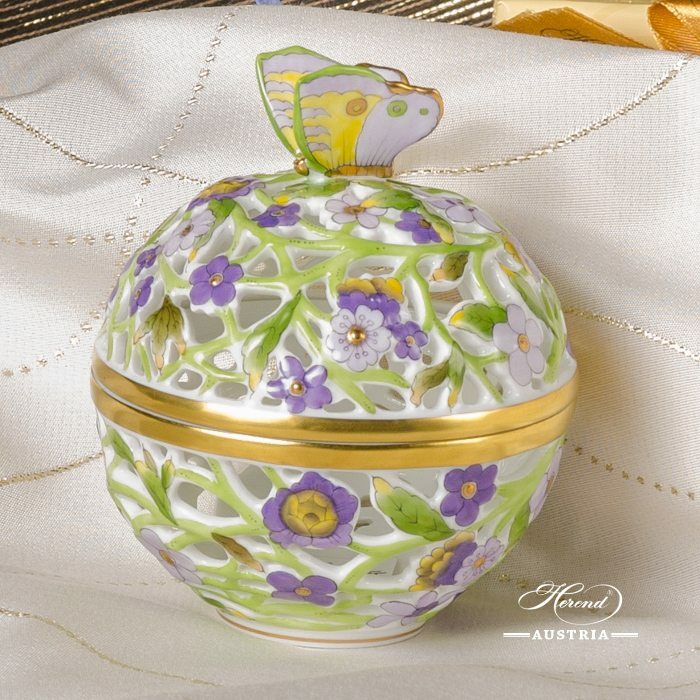 Openwork Bonbonniere / Candy Jar w. Butterfly Knob - Herend Purple - Yellow - Green C2 pattern. Herend fine china - Purple - Yellow - Green C2 design. Available in many different Herend patterns. 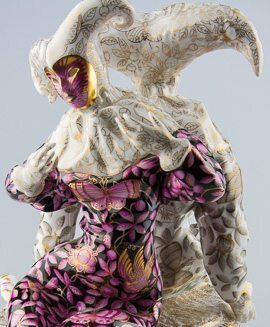 Give aesthetic as a Gift! 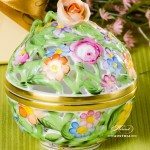 Openwork Bonbonniere / Candy Jar w. Strawberry Knob - Herend Multicolour C pattern. Herend fine china - Multicolour C design. Available in many different Herend patterns. Give aesthetic as a Gift!